Natasha Durley is the illustrator for The Creature Garden, the sixth app in our Digital Toys series. Natasha is an illustrator and surface pattern designer from England who loves to work with fun colors and quirky characters. 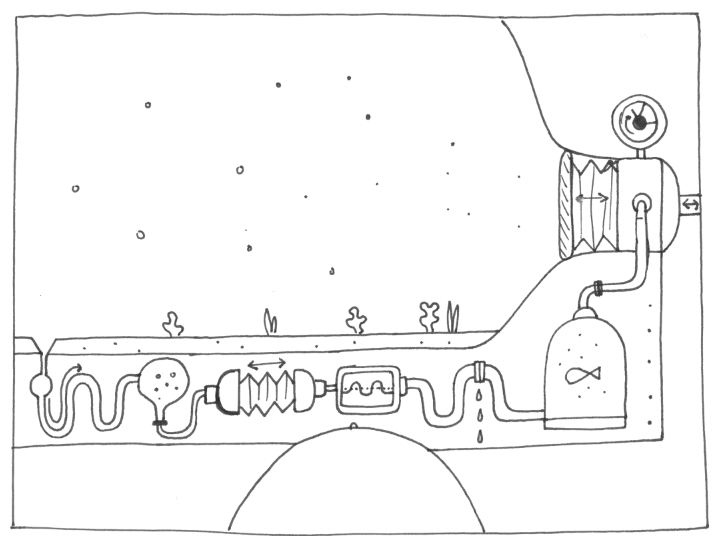 We had the pleasure of asking Natasha about her process of illustrating The Creature Garden. What is your favorite part or feature of The Creature Garden? My favorite part of the app is building the creatures. I had the best fun creating all the different parts [for kids to create their own animals with] and it’s super fun to see how you can connect them all to make your own unique creature. How is illustrating for children different than illustrating for adults? I’d probably say you can be a bit more free and imaginative when illustrating for children. But I don’t really consciously illustrate for kids. 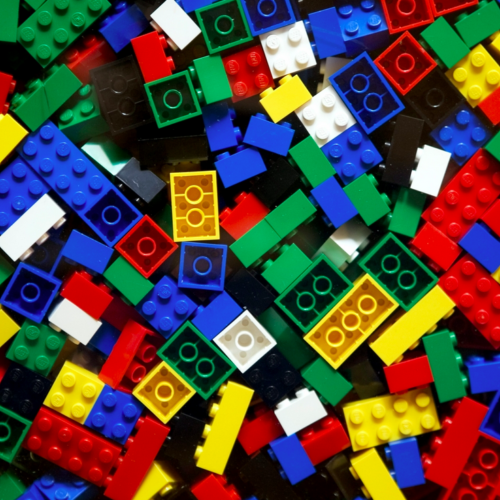 I think you can overthink things and run the risk of underestimating kids. I do love working with bright colors and quirky, fun characters, which I think kids naturally gravitate towards. What was your favorite creature as a child? What is your favorite creature now? As a kid, I was obsessed with dogs. I really wanted one and would even buy dog magazines to see how I should train my future companion. I’m now 30 and I still haven’t gotten a dog, but I’m pretty prepared for when I do get one! And now, it’s so hard to pick a favorite [creature]! I have so many! Maybe the elephant? They are such intelligent, social creatures and I love the low rumbling sounds they make. Can you share with us one of the creatures that you made with the app? I was born in Blackburn, England, but I spent most of my childhood around the Milton Keynes area of the UK. I have a photo of myself, when I was about 4 years old, covered in paint from head to toe. So, from then onwards, I’d say. I enjoyed anything artsy as a kid and, other than a brief moment when I was in school and considered studying animal behavior, I have always been on the wiggly path to becoming an illustrator. I’m working on a few children’s books at the moment, which is very exciting. I’m new to that world too, so there’s so much to learn. In the past you’ve illustrated books, prints, postcards, etc. 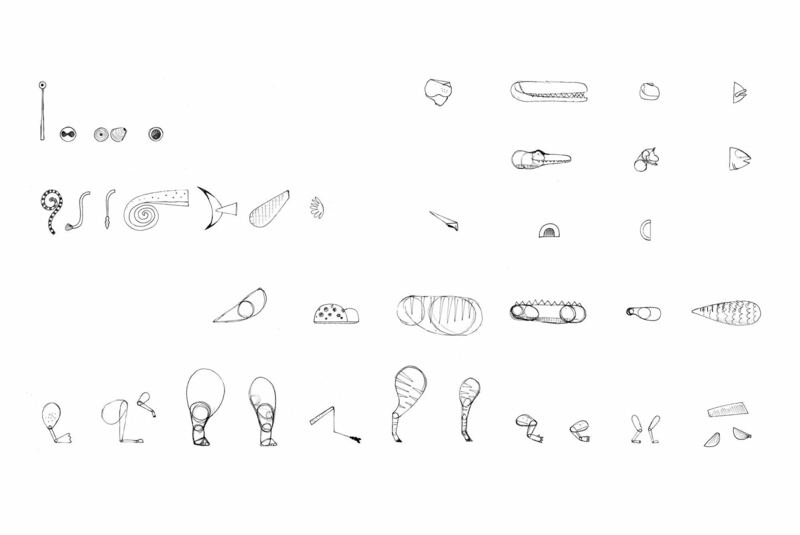 How is illustrating for an app different than illustrating for printed material? Illustrating for an app was very challenging, but fun. Technically, you have different things to consider when creating artwork for an app. To start, all of the elements are moving, so an illustration that might sit well on one background, might not sit well on another. You also have to consider how creatures might move or interact with other elements in the app. With printed artwork, I can use a lot of textures and layers. When working on an app, you have to be a lot more careful, otherwise the file will be too large, which will affect the performance of the app. I’ve learned so much along the way and it’s been great working with the Tinybop team. They really helped guide me through the process and get my illustrations moving. I loved books you could get lost in, and I enjoyed hunting for hidden details I may have missed earlier. 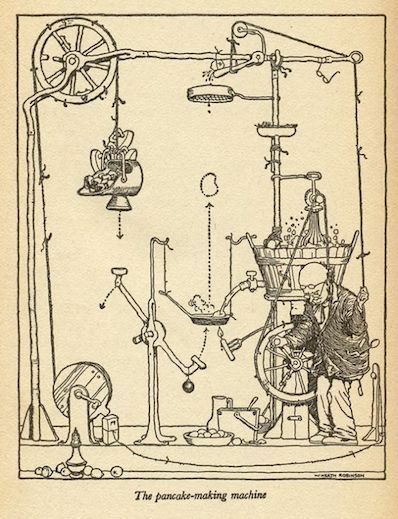 My dad had a few William Heath Robinson prints in the bathroom, and I remember standing in the bath as a kid and looking at all of the crazy inventions he came up with. 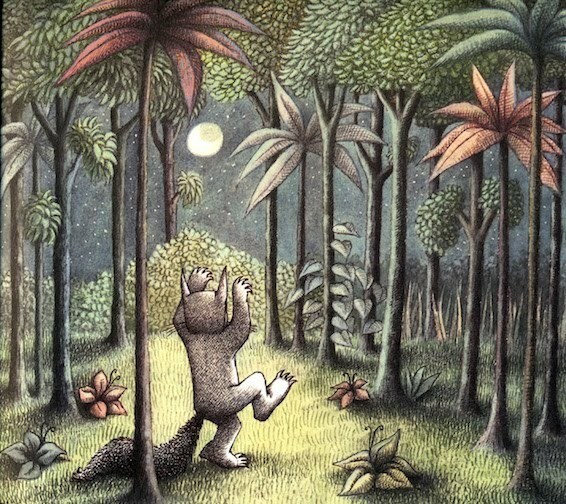 Like a lot of kids, I loved Maurice Sendak’s Where the Wild Things Are. I also liked David McKee's Not Now Bernard. It has a slightly dark edge to its humor, but I liked that as a kid. What are some of your favorite books now? This year I went to the Bologna Children’s Book Fair for the first time and it was a total eye-opener. The place was dripping in gorgeous work and I now have a few new favorites. 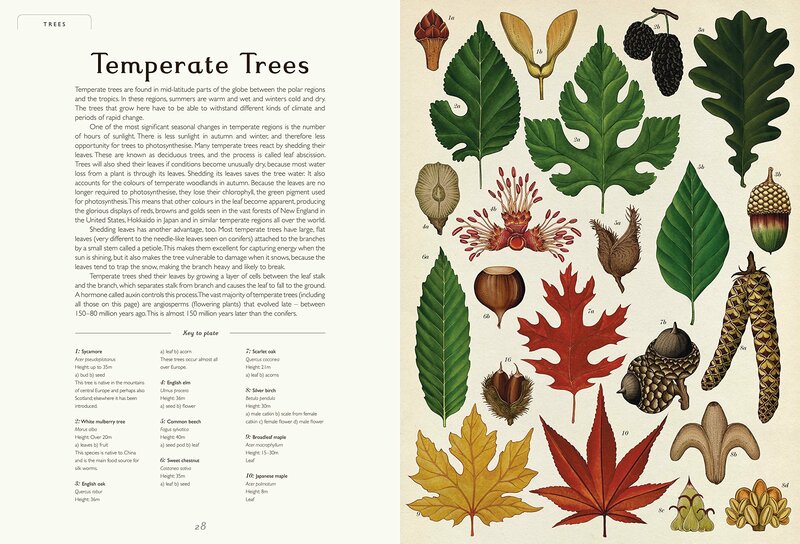 Katie Scott’s Botanicum is stunning, as are all her other books. The Night Life of Trees, by Bhajju Shyam, Durga Bai, and Ram Singh Urveti is also really special. Each page is silk-screened by hand, so the colors are super rich. I’d love to frame some of the pages but I don’t want to destroy the book. Finally, what advice would you give to a young artist? Illustrating can be a tough career to get into, but if you enjoy what you do, stick with it! Eventually your hard work will pay off. I’d also say do self-initiated projects in areas you are really interested in. It will attract more work in that area and then your research will also be your hobby. For The Creature Garden, I had to research weird and interesting animals, which is pretty much what I do in my spare time anyway! Thank you, Natasha! See more of her work on her website. Get The Creature Garden on the App Store. If you enjoyed this post, you may also like our newsletter. Sign up here.